At the start of October we launched our new Cybersecurity Skills Initiative at the inaugural Cybersecurity Conference #CyberConf. 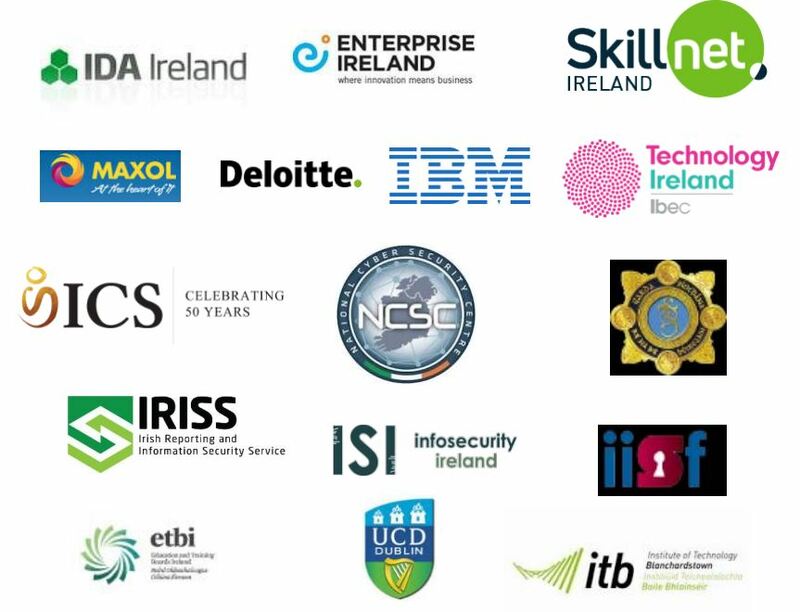 The main aim of the Cybersecurity Skills Initiative (CSI) is to grow an awareness of cybersecurity issues and develop the preparedness of companies in Ireland through the provision of a various strategic training programmes. On top of this, CSI is an excellent way for people with an interest or natural flare for Cybersecurity to upskill or cross skill themselves into in-demand cybersecurity generalists and specialists. We have a very strong team behind the initiative. A blend of government bodies and leading technology organisations are all bringing their expertise to the table and crafting the training programmes that can make a real impact for businesses and employees…. The first batch of new CSI training programmes are now live on our website and places are filling up fast…..
Our half day Cybersecurity Awareness Workshop is an interactive workshop that will make learning about cybersecurity fun and easy. The course will give you a first-class introduction into security providing you with the basic knowledge and skills to instantly improve the protection of your own data your family’s data and your businesses data. The workshop has been designed to cater for people coming from a variety of background without any prior training in the security area. The Cybersecurity Foundations Skills runs for two days at the beginning of November. Aimed at those who are looking to get a good understanding into the fundamental concepts of cybersecurity, especially those working in a smaller sized business. Again, this course caters to a wide variety of people and no previous training is necessary to secure your place on the course. The Cybersecurity Risk Assessment for SME’s half day workshop will investigate the main security threats that currently exist. Participants on the course will use a tool to carry out a risk assessment of their own business or an assessment of the organisation they work for. Focusing on a variety of areas: Passwords, Phishing, Ransomware, Malware and making sure you have a robust plan in place for your company. You will leave with a stronger understanding of how secure your business is and what you can do to improve right away. The CSI half day Cybersecurity Workshop for Managers will highlight why cybersecurity is a business issue and not purely an IT issue. Participants will gain an understanding as to why investing in training for their team and deploying the latest cybersecurity technologies are wise business decisions. This programme has been carefully designed for C-level executives, managers and owners of small to medium sized organisations from any business sector. We will continue to roll out training programmes over the coming months and will be keeping you informed of them here in our news section. If there is any particular area you would like to see a programme run in, or are interested in learning more about CSI we’d love to hear from you.